Changes to first aid regulations to remove the requirement for the Health and Safety Executive (HSE) to approve first aid training providers came into force in October 2013. Professor Ragnar E Löfstedt recommended that "The Health and Safety (First Aid) Regulations 1981 should be amended to remove the requirement for HSE to approve the training and qualifications of appointed first-aid personnel". Removing the HSE approval process will give businesses greater flexibility to choose a training provider and first aid training that is right for their work place, and based on their individual business needs. The provider will be required to meet a certain standard, set by the HSE. A new national standard for workplace first aid kits in the UK has now been introduced by the British Standards Institute (BS 8599-1). There will continue to be four kits, now called small, medium, large and travel size and will contain increased quantities of items deemed to be insufficient before. It also recommends how many kits are needed depending on the size of the organisation. Conformity to the standard will mean that anyone using the kit, as well as patients, are protected from inferior first aid materials. Under The Health and Safety (First Aid) Regulations 1981, employers must provide ‘adequate and appropriate’ first aid equipment, facilities and training so that anyone who has an accident at work can receive immediate help. First aid kits should be appropriate to the number of employees and suitably stocked depending on specific hazards. They should be checked regularly to ensure they are fully stocked with suitable items that are in date. Also, all employers should have at least one trained first aider, although businesses in high-risk industries and those with large numbers of employees require considerably more. Although health and safety has improved and accident rates have fallen across many industries, employers still need to be careful not to relax their first aid procedures, and ensure they are regularly reviewed. First aid kits need to be checked and restocked and first aiders need to have their training refreshed. Once a business has everything in place all employees should be made aware of the procedures, and signs should explain where first aid equipment is kept and who the relevant people are to administer it. Plus, plans need to be put in place for what happens if first aiders leave the business or they are off sick or on holiday. Employers can face hefty penalties for breaking health and safety laws and usually there is no excuse for it, especially for the sake of a few bandages or a pack of plasters! The Role Of Defibrillators In Occupational Health And Safety. 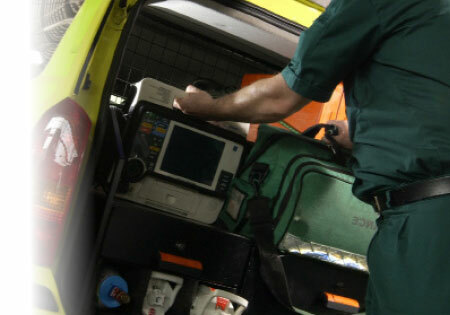 Increasing numbers of workplaces now complement their first aid equipment with defibrillators and several high-profile incidents, such as Fabrice Muamba collapsing during a football match in 2012, have highlighted the role that this type of equipment can play in saving lives. St John Ambulance is running a campaign to get more AED’s or Automated External Defibrillators into workplaces and schools. 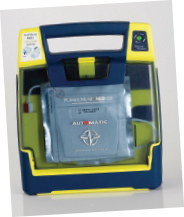 We now supply the Powerheart® G3 Defibrillator which comes with a FREE St John Ambulance Training Course and AED Responder Kit.